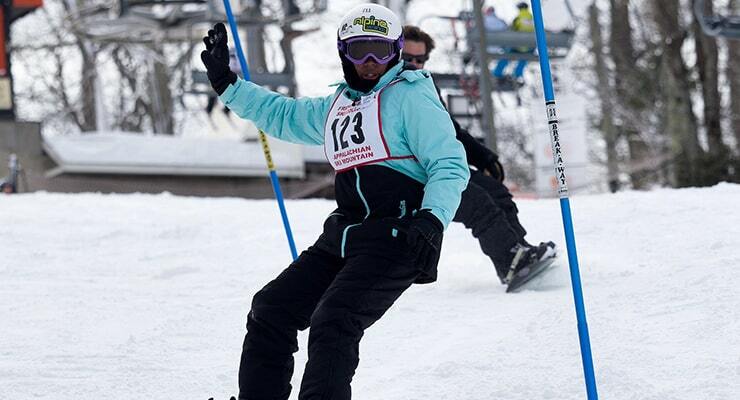 This Web page provides a comprehensive summary of 2019 Special Olympics Southeast U.S. Winter Games – Alpine Skiing & Snowboarding. There are several links to more detailed documents. There is some new information for this year, so be sure to read through everything. If you have questions about this information, if you need help during the event, if you get lost, if you are running late, whatever it might be – call us! Any questions, concerns, cancellations, please contact Andrea Stamm at astamm@sonc.net. You can also call or text at 919-818-4520. Driving Directions to Hotels – This document has the street addresses included for you to use with GPS systems. Please be neat and tidy spectators! Please remember that no electrical items are allowed in the ski lodge at any time. This includes, but is not limited to, toasters, coffee pots, microwaves, crock pots, etc. Coolers are allowed. It is helpful to have at least one parent, chaperone, or coach stay in the lodge where your delegation has placed your items for the day. This is to assist athletes if they come in to warm up, use the restroom, and as a place for them to rest. It also helps GMT members and SONC staff to know there is someone from your delegation in the lodge if we need to locate you in the event of an emergency. HODs should have copies of all athlete medical forms with them in case of an emergency or any other medical issue. If you are on the slopes and need medical assistance, please find any French Swiss Instructor, Ski Patrol, or any on-slope assistant with a radio to contact SONC/Games Management. You can also call Andrea Stamm at 919-818-4520. If a coach/chaperone/parent is needed, a text blast will go out to all coaches/chaperones/HOD’s and a page will go out over the loudspeakers. Medical volunteers are also in the Snow Cloud room (3rd floor of the lodge), and are available for athlete, coach, parent, or volunteer first aid needs. The ski patrol medical area is located on the ground floor of the lodge. When coming in from the slopes, it is located to the right of ski rentals. This is where ski patrol will take any athlete or coach that is injured on the slopes for assessments. Families attending the Winter Games should have registered with Laurie Karr at French Swiss Ski College by January 4, 2019. Contact her directly at 828-295-9311 for any questions regarding family registration. All NC delegations will be housed in the Holiday Inn Express in Blowing Rock, NC. All other states will be housed in either the Meadowbrook Inn or the Holiday Inn Express. North Carolina programs that have problems with housing, please contact Andrea Stamm at 919-818-4520. All other states please contact Laurie Karr at 828-295-9311. All delegates should be respectful of others by remaining in their rooms after 11 pm each evening. Music and loud talking should not be heard outside the room from which it originates. All delegates should respect all facility property and regulations. Theft or intentional damage of property will not be tolerated. Only the Head of Delegation or head coach should come to the check-in area to prevent congestion. Confirm possession of all athlete participation forms. Pick up arrival envelope containing welcome information, bibs for athletes, rental forms, and all credentials for the delegation. Confirm that you have all credentials at that time. Receive all other competition materials. For your lunch needs, athletes and coaches may go through the cafeteria line at Appalachian Ski Mountain for $6 per person. This price includes an entree and a small drink (for example, burger & fries and small soft drink). Special Olympics programs must have a voucher in order to take advantage of this pricing. Vouchers will be tallied and charged to the local program. Vouchers are available at check-in. This meeting will be held in the Snow Cloud Room at 1:15pm. Attendance by all coaches from each program at the coaches’ meeting is mandatory. Valuable information and updates are provided during these meetings. If the coach/representative does not attend, that program is subject to penalty, including loss of the ability to protest. Call Andrea Stamm at 919-818-4520 if someone is unable to attend due to circumstances beyond their control. Additionally, a head of delegation meeting will be held Monday and Tuesday at 9:15am in the Snow Cloud Room. This is to communicate any last minute updates and the plans for the day. Opening Ceremony will be held on the mountain at 2:15 pm on Sunday, February 3, 2019. Dinner will be at the Meadowbrook Inn at 6:30 pm on Monday, February 4, 2019. The dance will immediately follow at 8:00 pm. In designing uniforms/selecting outerwear, please remember that Special Olympics Inc. has strict guidelines on the use of the Special Olympics logo. If you need a copy of these guidelines or your local program logo, contact your community resource director. 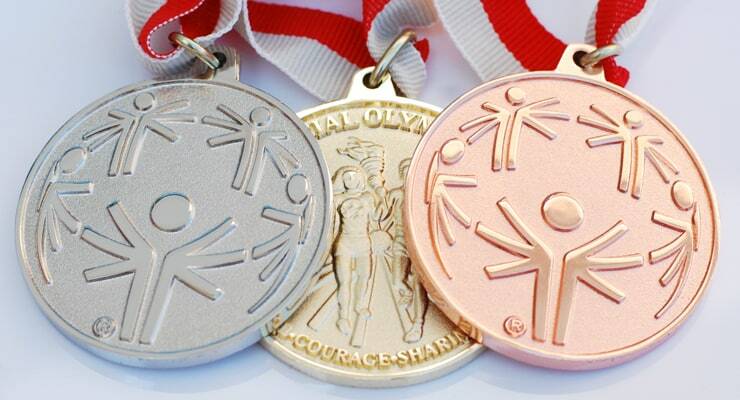 As stated in the Special Olympics Inc. policies, no athlete or coach will be allowed to march in the Opening Ceremonies of any official Games if he/she is wearing a uniform bearing a corporate or organizational logo other than Special Olympics. Any person that does not follow this policy will not be permitted to sit with the official delegations. Each delegation will be given their delegation sign to hold and will be announced during the ceremony.